There’s been a great deal of talk about Star Trek 3 lately, from plot details and a potential start date for production, to an appearance from The Original Series star William Shatner. That last part led to some controversy and a bit of a back and forth shouting match, but those troubles appear to be smoothed over, and now that Shatner is on board—to some degree, we’re honestly not entirely sure—we have an idea of what his potential cameo could look like. A report came out a while back from someone who has read the screenplay and it said there was a scene that features both Spock Prime (Leonard Nimoy) and Kirk Prime (who would, obviously, be played by Shatner). That’s all the report said, that there is a scene written where both of the legendary characters show up (I imagine there’s one in every new Trek script, just in case, and there was also reportedly one in J.J. Abrams’ 2009 reboot as well, though it never came to pass). As he tends to do on occasion, Shatner got loud on social media, accusing the production of using his name to generate hype for the movie. That’s all been ironed out, as Abrams, whose Bad Robot is producing the picture, actually called the 83-year-old actor, who said he would be “delighted” to appear in the new film if the part is handled right. Badass Digest are the ones who first mentioned the scene, and now they have a description of what it might entail. 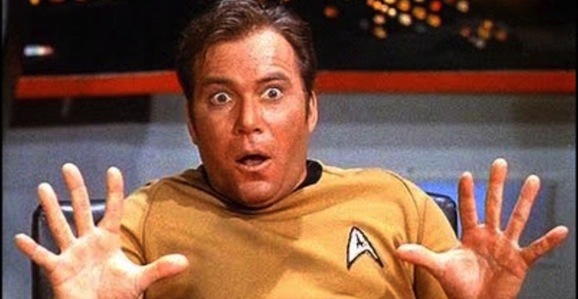 According to their sources, the scene in question may feature a meeting of Captain Kirks, as Shatner’s original could share the screen with Chris Pine’s modern incarnation. If this does happen, it will be especially fun because Shatner recently said that seeing Pine play the character, one he originated almost 50 years ago at this point, makes him consider his own mortality. But there’s more to the scene, including both Nimoy and Zachary Quinto’s versions of Spock. And as it turns out, it may not actually be the Prime characters, the original timeline versions, but the future incarnations of the newer manifestations. What exactly that means is something we’ll have to wait to see, but it sounds like more of a time travel scenario rather than more of the dimension jumping we’ve seen thus far in the revamped franchise. If our understanding of the situation is correct, that would make this the third different iteration of these characters (at least Spock). There’s the Prime characters from the original timeline, the new jack versions, and now their future selves as well. So we may have that look forward to, assuming all of the pieces fall into place. We’ve heard that the story of Star Trek 3 picks up with the Enterprise crew in the middle of their five year mission, having thankfully left Earth in the rearview mirror. 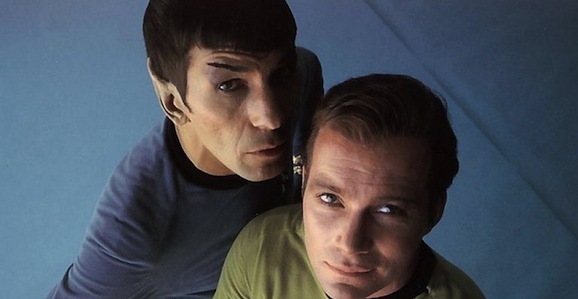 Production could start as early as February 15, 2015, likely with Roberto Orci in the director’s chair, and with an eye on a summer 2016 release to coincide with the 50th anniversary of Star Trek.